In this week’s episode, Robert and I don’t understand why CNN is being criticized for the launch of Courageous, its internal native advertising agency. Next, we agree with Andrew Davis’ assessment that print is the future of digital and discuss how these two platforms can be leveraged to draw more attention for your best content. 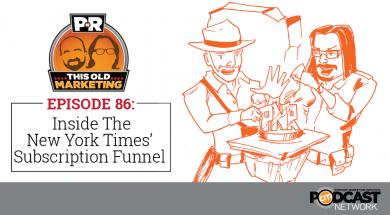 Finally, we take a closer look at the Facebook subscriber funnel The New York Times is using to grow its revenue and ponder the thinking behind Manifest, a new content marketing agency merger that combines content creation and experience design. Rants and raves include the platform-building strategies employed by movie studios and the need for marketers to include a customer support component in their content strategies. We wrap up the show with a #ThisOldMarketing example of the week from Disney and merchandising. CNN to broadcast corporate propaganda as news? (6:52): Once a news outlet as recognizable as CNN starts airing branded content, it has the potential to create a huge conflict of interest in editorial decisions, so warns C. Robert Gibson in an opinion piece on Aljazeera. A case in point: If an advertiser does wrong, will the news department be able to criticize it, or will its hands be tied for fear of lost revenue? Robert and I don’t understand what all the controversy is about; brands have been sponsoring television shows for a very long time. CNN forming an internal unit like Courageous actually gives the news network greater control over branded stories. The future of digital is print (16:33): Print is one of the most misunderstood parts of the marketing mix, according to Andrew Davis in a new article and webinar on Shweiki Media. He recommends that brands take their most engaging, short-lived digital content and extend its life span in print. Robert and I agree that it’s an excellent strategy to treat our best content as the valuable strategic asset it is. The New York Times finds new subscribers on Facebook (27:11): Publishers have a lot of tools for bringing readers back to their websites. But often those visitors amount to little more than drive-by traffic, especially if they come from social media. The New York Times has grown its paid subscriber base by targeting Facebook users with an innovative keyword analysis and content targeting tool called Keywee. 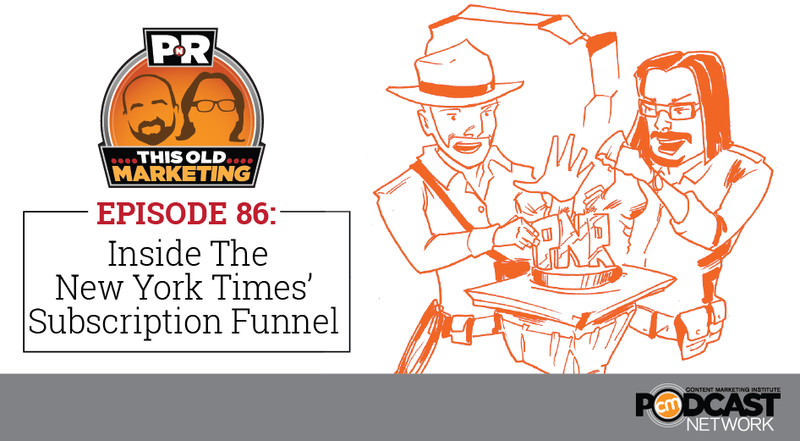 Robert and I agree that The New York Times’ approach of focusing on a content or subscription funnel instead of trying to generate immediate sales is very smart. A new powerhouse in content marketing and experience design: Manifest (33:08): Manifest Digital, a digital experience design agency, and McMurry/TMG, the omni-channel content marketing specialist, are combining to form Manifest. The new firm will marry the complementary disciplines of content creation and experience design, and will have 400 employees. Its combined 2015 revenue will place it in the top 100 agencies in the U.S and in the top 12 independent agencies. I give the firm bonus points for focusing on the cultivation of long-term customer relationships and for not mentioning the dreaded C-word (“campaign”) anywhere in its announcement. This Old Marketing is sponsored by Acrolinx, a platform that helps the world’s most recognized brands create more engaging, more readable, and more enjoyable content. 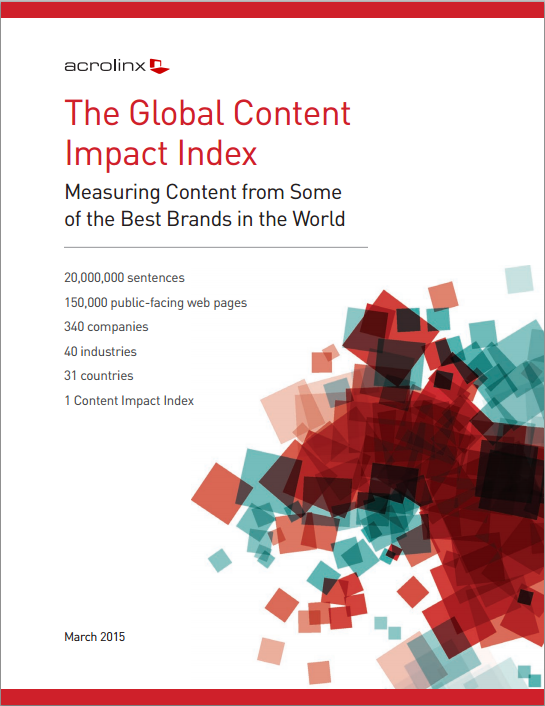 It’s offering a new report called The Global Content Impact Index, which shares the results of its detailed analysis of the world’s content. Using a proprietary linguistic analytics engine, its software reviewed 150,000 individual, public-facing web pages from 340 companies around the world. That represents 20 million sentences and over 160 million words. The results were surprising. Learn more at http://bit.ly/acrolinx-global-index. Joe’s rave: This week’s ranking of top-grossing movies reveals that all of the top five films are sequels. The movie studios produce so many of them because they’re perennially popular with audiences. What can brands learn from this strategy? The power of a content series platform, like we’ve seen with Guitar Center TV and Honda Stage, is hard to beat. It’s a great way to build audience engagement. Robert’s rave: Robert loves this article about customer support from Forbes. The author points out that power is shifting to consumers and the firms that earn their love. What does this have to do with content marketers? Service is becoming a component of all customer experiences, including the content we produce. We need to think about this as part of our planning process. How will we deal with complaints and comments, for example? Disney and merchandising: This excellent article from The Wall Street Journal reveals how the moviemaker systematically approaches new films. Increasingly, it views the production of each movie as a cost of doing business and devotes at least as much, if not more money to merchandising, because that’s where the biggest revenue opportunities tend to be. 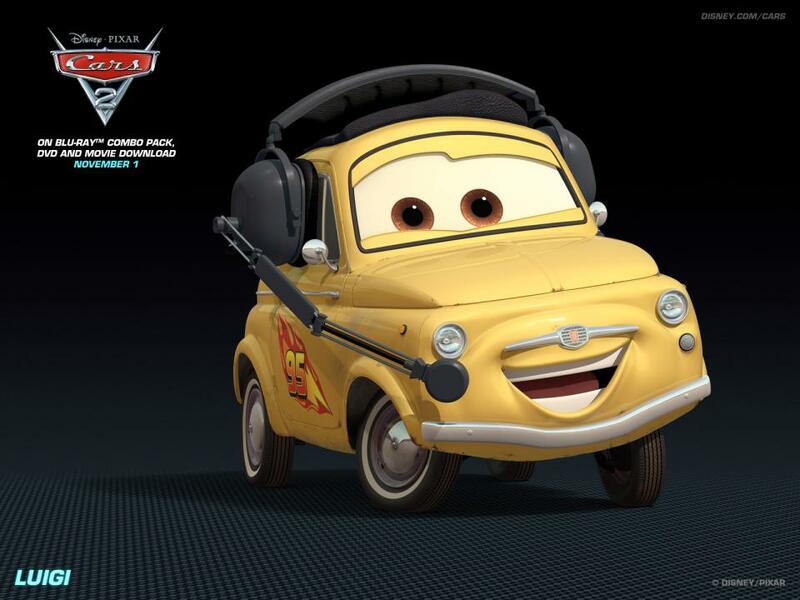 Cars 2 is a case in point: According to article, the production cost of Cars 2 in 2006 was approximately $150 million. Since then, it has created “revenue ripples” of more than $2 billion per year in merchandising. What’s the lesson for marketers? Step back and take a broader look at your content. Think about it as a platform. Chances are excellent that you’ll uncover new revenue opportunities. Disney’s outstanding approach to content production and merchandising makes it an excellent example of #ThisOldMarketing.